The Ten Guiding Principles were developed to help teachers start the new school year off right with specific ideas for implementing them. Although some of you would like a specific menu of first-day activities, it is more useful to give you the basic ingredients and a dash of confidence to compose your own plan. Here are the Ten Guiding Principles, the corresponding messages they convey to students, and suggestions for implementing each principle. 1.Â Be Prepared Â Â Messages to Students: Teacher knows what she/he is doing. 2.Â Motivate Kids Â Â School is exciting. 3.Â Establish Routines and Schedules Â Â School is safe and predictable. 4.Â Establish Classroom Rules Â Â I will learn self-control. 5.Â Orient Students to School/Room Â Â I am comfortable and belong here. 6.Â Preview the Curriculum Â Â I will learn new things. 7. Â Let Students Decide and Choose Â Â We are all in this together. 8.Â Include a Literacy Experience Â Â Reading is wonderful! 9.Â Acknowledge Every Student Â Â I am special! 10. Review and Assign Easy Work Â Â I can succeed! Arrive at school very early. You will feel more confident if you can spend time checking out the room and feeling comfortable in it. Make sure that your name is on the board along with the schedule, there is a welcoming sign on the door, all your name tags are carefully prepared, the desks are arranged to your satisfaction, all your instructional materials are ready, and your plans are summarized on an index card for easy reference. I tend to go to the classroom at least 15 minutes before each of my class sessions. Laying out materials and writing the schedule on the board conveys to students that the teacher is well prepared and well organized and will help them pass from a state of uncertainty to a state of knowing and understanding. Capitalize on anticipation this very first day. Provide a variety of highly motivating experiences. Keep the pace moving and overplan so you never drag anything out to fill time. Kids need to go home that very first day with the message that school/class is exciting. 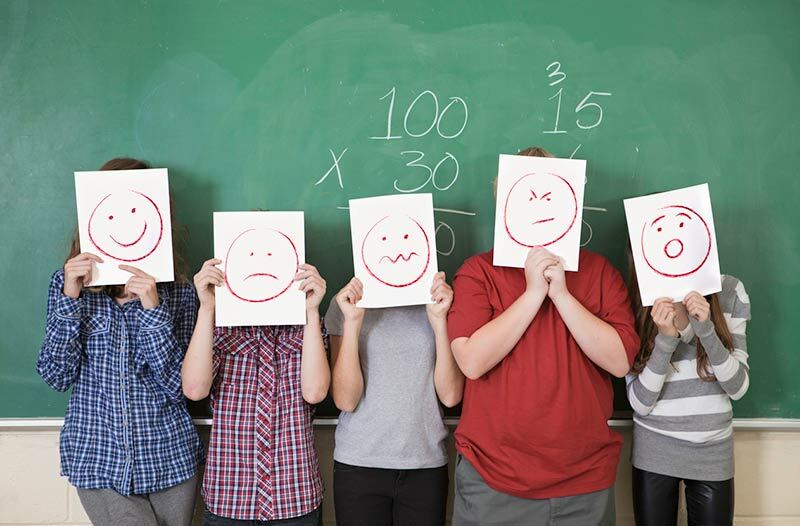 The first day can either reinforce good feelings about school or turn around bad ones. In middle or high school, a short demonstration or experiment serves this purpose. Make this a day that students will remember and talk about at home later that day. Make sure, whatever your activities, that kids will respond to the traditional question "What did you do in school today?" with a glowing smile and excited report, instead of a bored "I don't remember," or worse, "Nothing much." Begin to establish a set of daily routines that first day. Chapter 4 has dealt with routines at length, and you may have had an opportunity during a practicum to observe a variety of routine procedures and the effects of routines. Routines are a management tool for saving time and ensuring smooth functioning of the classroom. But they also provide the structure and security that help kids meet a basic need. We all make certain predictions about our environment, and when our predictions are verified in reality, we feel good. But when even one of our expectations goes awry (the car won't start, or the alarm doesn't go off, or the shower water is cold instead of hot), we can become disoriented. We need to do certain things by rote so our energies can be spent in more creative endeavors. Introduce some routines on that first day as they are needed; others can be introduced as the week progresses. In addition to established routines, kids (and adults) appreciate a fixed schedule. We are creatures of habit, and when our schedules are disrupted by travel, or by house guests, or by any one of a number of outside factors, we become cranky. My students appreciate knowing how the two- or four-hour time block will be divided, and I always have an activities schedule, including times, on the chalkboard prior to class. They like to see if an exciting activity is coming up, or a videotape, or a simulation game, or maybe they want to mentally check off how much time there is until break. While I don't always stick to the schedule, it's always there as a guide, and students can predict the order of the session. Your students at all grade levels will also want the security of a schedule, and since it is in your head and or paper already, why not let them in on it by writing it along with the allotted times on a special part of the chalkboard? Your first day/class should be planned within the context of your eventual daily schedule. 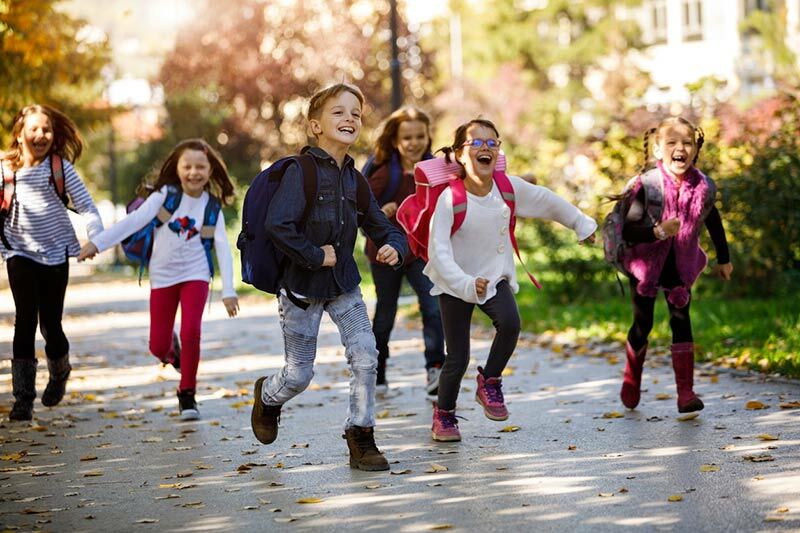 While the first day will not be typical, neither should it be so different from a usual day that kids later are surprised and resistant to a new schedule that seems to come out of left field. Surprises are best introduced and most welcome within predictable routines and an established schedule. Excerpted from Your First Year of Teaching and Beyond, by Ellen Kronowitz.